The convenience store chain has been sued over its application of Cook County’s new sweetened beverage tax, and will skip the county in its Slurpee promotional. 7-Eleven’s “Bring Your Own Cup Day” is scheduled for Aug. 18-19, and the rules are simple: Show up at a participating store with a food-safe, clean, watertight cup that fits upright within a 10-inch opening – and don’t be in Cook County, Illinois. The convenience store giant’s promotional will allow customers who bring a qualifying cup to any participating 7-Eleven to pour themselves a Slurpee for only $1.50. 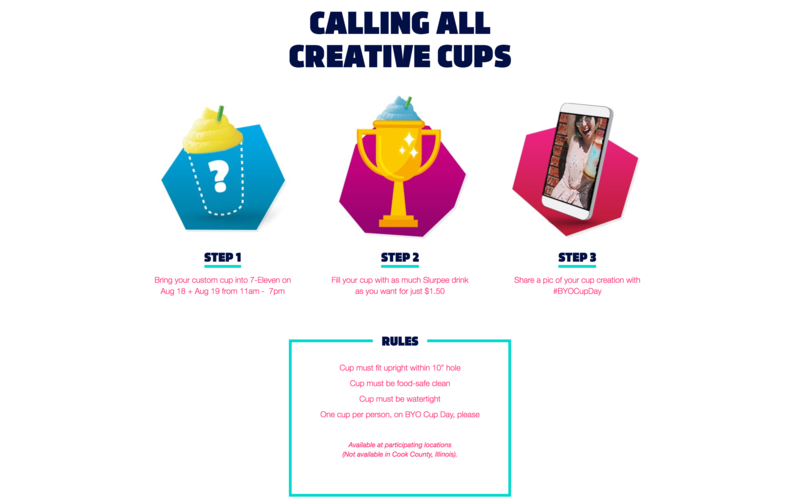 However, the chain’s promotional offer explicitly names one place where the “Bring Your Own Cup Day” will not be happening: Cook County, Illinois. On Aug. 2, Cook County’s controversial penny-per-ounce sweetened beverage tax took effect. The tax had been challenged by the Illinois Retail Merchants Association, or IRMA, which cited confusion over its implementation and the threat to merchants of possible litigation over improper application of the tax. IRMA’s lawsuit delayed the implementation of the tax, but ultimately the Cook County Circuit Court upheld the tax. Shortly afterward, Cook County filed a lawsuit against IRMA for challenging the tax and costing the county revenue while the tax’s implementation was delayed. The county dropped its suit days later. Now 7-Eleven is facing a lawsuit alleging that its stores in Cook County were overtaxing customers who were using large cups to buy drinks, even if they were unsweetened, according to the Chicago Sun-Times. And 7-Eleven isn’t alone: The Sun-Times has reported that Walgreens and McDonald’s have both faced litigation due to allegations that the companies have improperly applied the county’s new sweetened beverage tax. The sugary drinks tax is wildly unpopular, with polling commissioned by the Illinois Manufacturers’ Association showing 87 percent of Cook County residents oppose it. With 7-Eleven’s “Bring Your Own Cup” day skipping over Cook County, that number may grow.